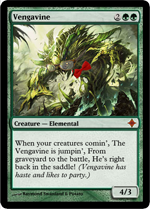 Welcome to Innistrad preview week! It’s once again time to delve into a new and exciting block (it feels so good to be saying that after sitting on this thing for more than five years). As you will see, this time we’ve taken the set design in a whole new direction. What are we doing, and what inspired us to do it? Before today’s column is done, you’ll know. 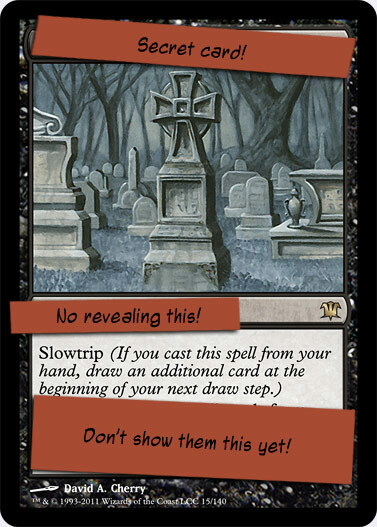 Ever since we announced Innistrad it’s been known to the public that the set has a gothic or medieval look to it. After enduring a fierce, action-packed metal world, with its own ‘tainted’ flavor, both the design and art teams wanted to get back into traditional fantasy. In fact, they both came to me independently asking to swing the pendulum back from the crazy chaotic feel of war in the Scars of Mirrodin block. They were eager to build a world steeped in a misty full-moon setting, with horrors lurking around every corner (horrors without infect). I hope you’re ready to delve into Innistrad! To get in the mood, I have to tell you something about the story. It so happened that the ancient planeswalker Feroz came across Innistrad, a once-beautiful plane, now ravaged by war and darkness. At the last unspoilt oasis on this plane he met fellow planeswalker Serra, whom he married. Together they worked to restore the plane, and to protect it, Feroz’s Ban was created. 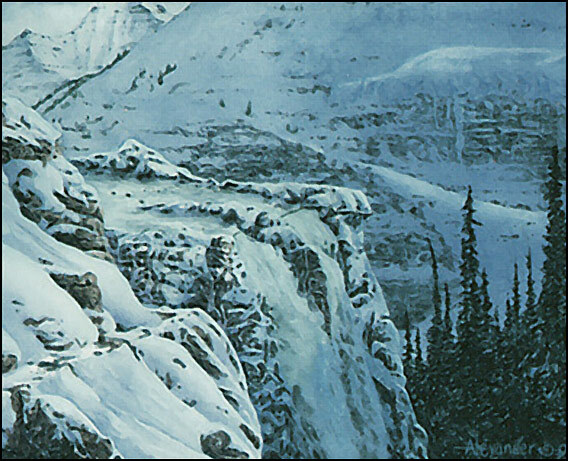 Feroz died during its creation, however, and the grief-stricken Serra abandoned the plane. In her absence the isolated civilizations of the plane fight amongst each other while the vampires plot with the secretly lurking Liliana Vess to take control of the plane under the fading Ban of Feroz. Innistrad is truly an ancient plane, and as such the art team wanted ancient artwork to go with it. They’ve organized a dream team of artists, including Rob Alexander, Mark Poole, Mark Tedin, Anson Maddocks and Kaja Foglio, whose outstanding efforts have defined the plane and the set of Innistrad. 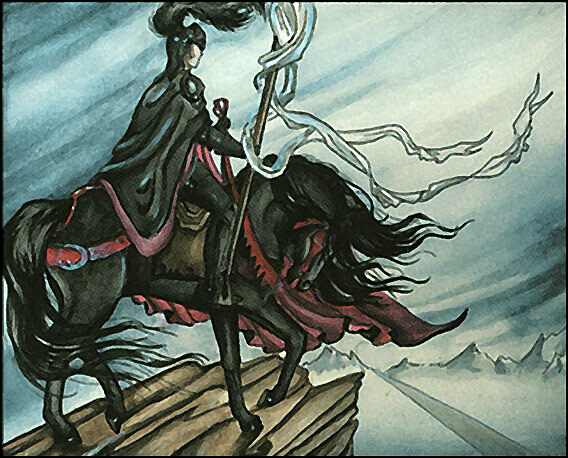 A high knight stands on a precipice, overlooking the plains of Innistrad. 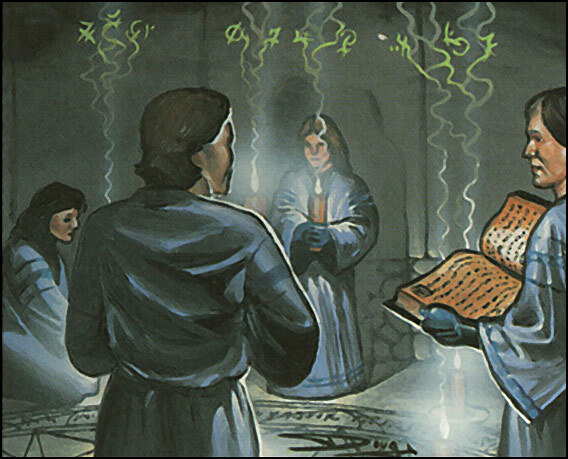 Innistrad is filled with mystic places, where clerics sing mystical chants. …such as raiders and bandits. I’m confident that players will be equally impressed by the wow! factor when they open their first packs of Innistrad as I was. This is going to be an amazing fall in the world of Magic! Normally when you design a set (you do that all the time, right? ), you start with the mechanics. No block set since Homelands has been without a whole array of new keywords and mechanics, and in this regard Innistrad surely delivers. What’s this? Forceflash. 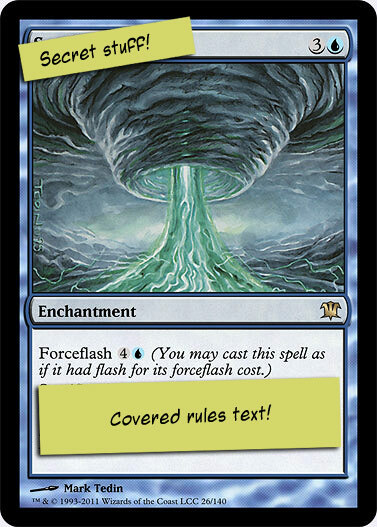 If you pay an extra cost, you force the spell through, kind of like Force of Will, only somewhat like Force Spike but not at all like Force of Nature. The forceflash cost is an alternate cost, not an additional cost. Then how on Earth did we come up with forceflash? From my point of view, it’s simple. Players like when things happen unexpectedly-or at least when they do for your opponent. I knew I wanted a push towards instant-speed interactions. 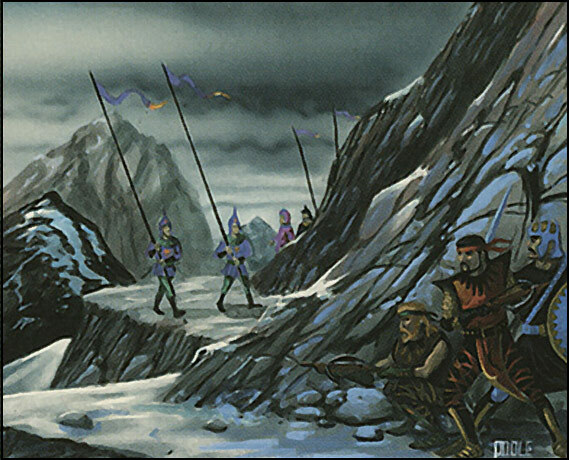 When I proposed my idea during the initial Innistrad development, the team agreed (as I’m their boss). The biggest challenge for the team was trying to find a way to approach the “instant-speed” theme in a way that didn’t just feel like Time Spiral 2.0. Forceflash’s design story begins with the design of Invasion and the instant-speed rare cycle (Breaking Wave, Ghitu Fire, Rout, Saproling Symbiosis and Twilight’s Call). Here we had five cards that could be cast at instant speed if you only paid 2 more colorless mana. Mechanics like these played directly into this design. I had been longing to exploit this kind of mechanic for years, but (as you should know, if you’ve been reading my columns) a set mechanic isn’t a set mechanic unless you can make it work at the common level. To that end, I decided that we were going to treat the instant-speed cost as a separate cost. As it came to be, one day (while tossing scrapped designs into a paper bin from across the room), it hit me. It didn’t have to be two colorless mana all the time! It could be anything! I ran down the stairs and up again, screaming with joy. In this setting, you could cast a common spell for four mana more, possibly even colored mana. I knew I wanted some form of innovation involving color. Colorless mana is boring. Cantrips are fun. Magic is about fun. Thus, since what I say, goes, Innistrad is about cantrips. But while cantrips are fun, anticipation is a key element in gameplay. Starting with Innistrad, we’re introducing a new revolutionary (and magical) keyword: Slowtrip. Isn’t that fun anticipation? You’ve cast an awesome spell and are waiting in deep anticipation for your next turn. What could the next card be? While you’re waiting, you can even play spells and interact with your opponent! We believe that this will both work as the format’s draw engine and make the game even more fun to play. Now that I’ve rattled your brains somewhat, let’s do it completely. The world of Innistrad will not only introduce new mechanics and keywords, but will look and feel radically different from the previous block. In fact, it’ll come in a different container. 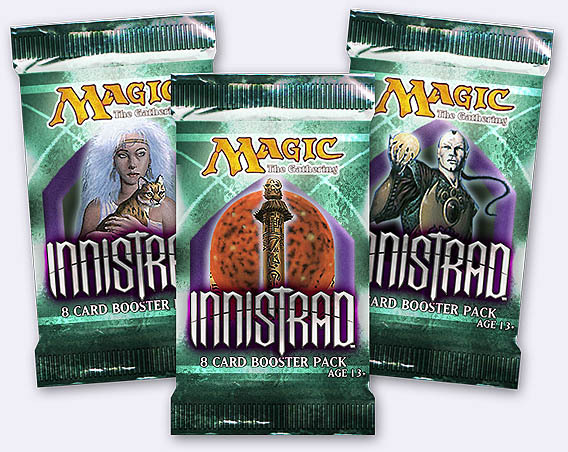 Innistrad will come in 8-card booster packs, and… wait, WHAT? Has Mark(eting) gone insane? Yes, it’s true, and no, he hasn’t (at least not me, I don’t know about marketing). The rationale behind this change is actually really simple. In recent years we’ve been experimenting with selling 6-card booster packs at large mass-market stores like Target or WalMart. What we learned from that experiment is that smaller booster packs are selling in large quantities simply because people love to crack packs and frantically inhale the Magic smell. We also noticed that players didn’t miss the rules tip card in the smaller packs, but they did long for tokens. The Innistrad block will be sold in 8-card booster packs, featuring 1 rare or mythic rare card, 1-2 uncommon cards and 4-5 common cards. The last card will always be a basic land or a token. In limited, two Innistrad boosters equals one regular booster (say, of Magic 2012). That is, a sealed pool would consist of 12 Innistrad boosters. We spend much of our time designing powerful rares, many of which players never get to slam on the table. It is our hope that players will come to enjoy opening twice the number of rares. 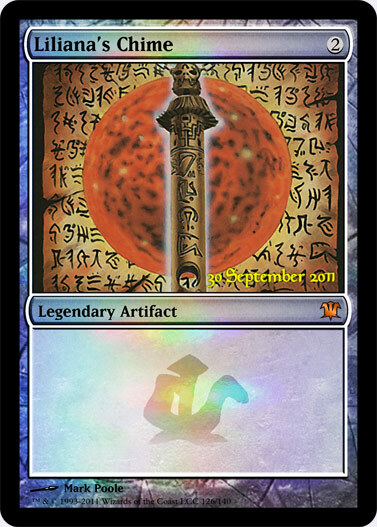 This feature will both reduce the value of chase-rares on the secondary market, as well as increase Wizards’ revenues. To round off this preview, I’m happy to announce that the release card will be called Liliana’s Chime. I can’t tell you what it does yet, but I can assure you that it’s a truly amazing card (I admit, I designed it). Liliana’s up to no good and she stops at nothing to get what she wants! That’s all for this week! Join me next week as we delve deeper into the horrors lurking within Innistrad.